Google may have finally tamed whatever rebellious code was behind the touchscreen wonkiness some users have run into with the Pixel C.
While the Pixel C we reviewed didn’t suffer from the issues as Anandtech encountered with its model, Google nonetheless provided a second unit to the outlet with an unreleased software update that vastly improves touchscreen responsiveness. One video released by the site shows just how bad the issue can be. The second unit, however, seems to work as one would expect a $500 tablet to perform. Along with the improvements to the touchscreen responsiveness, Anandtech notes the color characteristics have been tweaked, though it may not be something that’s obvious to the naked eye. Chrome support for finger controls remains a problem, however, as Anandtech says that the browser is still janky with pinch-to-zoom and other gestures. The new software is a variant of the latest version of Android, which is 6.0.1. This update is likely targeted specifically at the Pixel C and may launch soon if it’s already in advanced testing. If you bought Google's Android-powered Surface clone and suffered through some of these issues, your suffering may soon end. 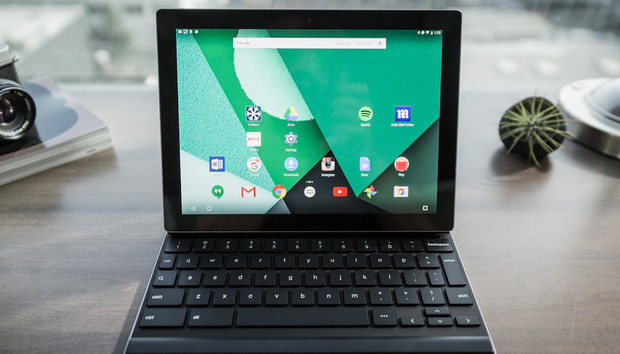 Why this matters: The Pixel C is a “halo” device, designed to combine premium hardware and pure Google software. While Google seemed to nail the former, it came up short with the latter. Along with the touchscreen issues, our review noted that Android didn’t seem up to the task of high-level productivity, with no multi-window support or other enhancements for a larger screen. Android may very well be the future of Google software, but it clearly needs a lot of work before it takes center stage on such a premium device.